Here’s a nice game I played a month or so ago. 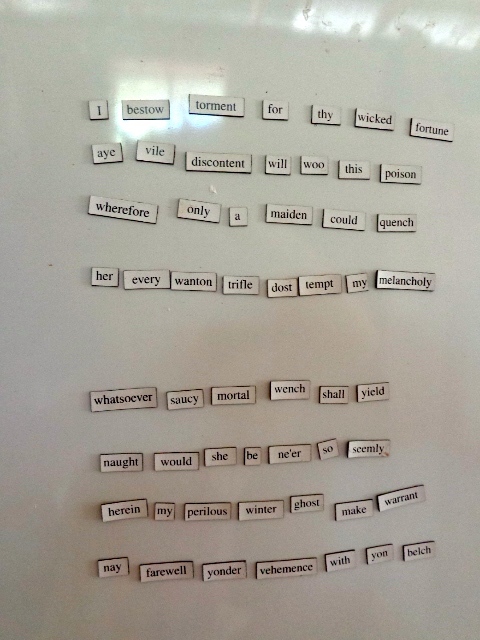 A bunch of words that seem vaguely Shakespearean and a large white fridge. Inhale. Play. This is what I came up with. Given enough poetic license, I suspect any combination would sound profound.